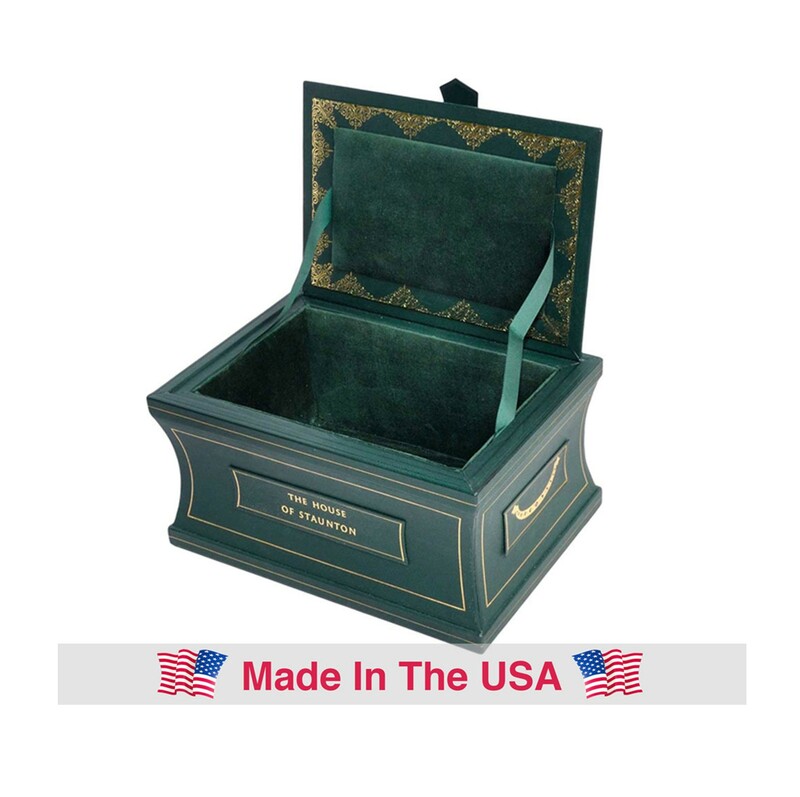 Handcrafted in the United States out of the finest English leather, the House of Staunton Leather Casket provides ultimate combination of beauty & luxury to store any set of chessmen in, up to a 4.4” King. 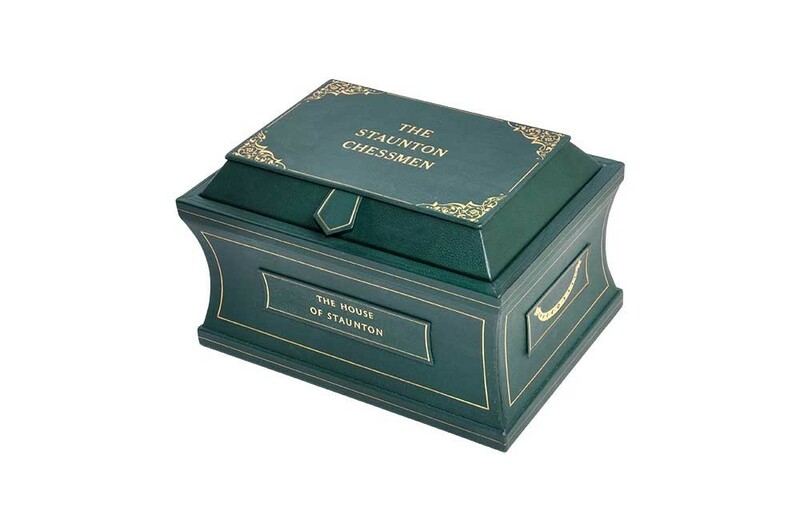 This box is a highly accurate reproduction of the Jaques of London Leather Caskets that were offered with their finest chess sets during the 2nd half of the 19th century. 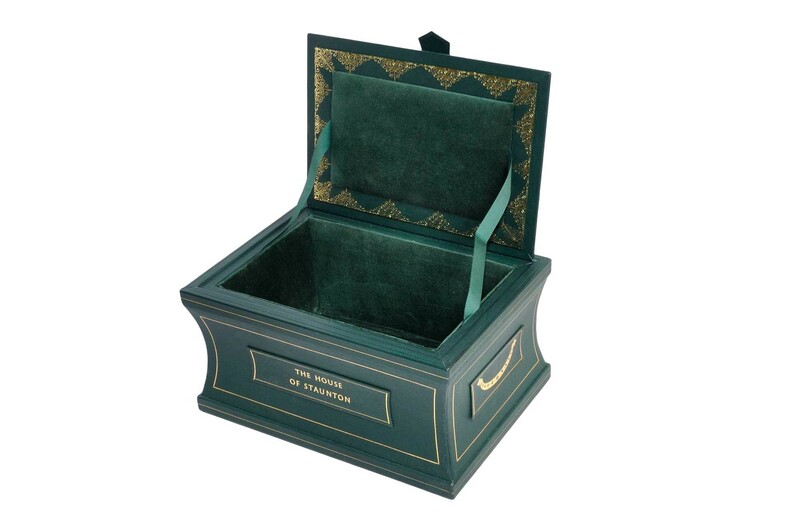 It features a single compartment that is lined in English velour and a gold gilded inner lid. Available in Black, Green or Red.